Future shock. There was an idea floating about a few years ago that mobile phones would develop an intelligence to predict your next purchase while walking down the street. The utopian marketers did not see it as 1984-style surveillance, nor as an over-enthusiastic vision from an IT consultant, but as a new form of enlightened self-interest moving at warp speed. If you liked a certain brand, and wanted it at a certain price, your phone would alert you as you are walking past a shop. Just think how easily I could stump the system: all I would have to do is put in my recent ten wine purchases. My phone would melt walking past my local delicatessen – where I have found some amazing wines recently. No technology here. Just look at the stock on the shelf. The wines have been priced with an old-fashioned sticker hand-gun; they are barely readable with the sticky gum curling at the edges. The ink is so feint the price tags must have been slicked onto the bottles before the credit crunch. What first caught my eye while buying some cheese at the front counter is the fine selection of Bulgarian wines (“Stephen Spurrier likes Ivo Chardonnay,” I was told nervously by the owner – maybe he felt I had lingered around the back of the shop long enough) and many old vintages and half bottles of wines I haven’t seen in years. If you happen to remember Foyles bookshop in Charing Cross Road in the early 1990s, before it had an electronic till, where stacks of Romanian poetry sat next to Medical textbooks, you may understand the giddy effect to see so many wines stacked all over the place. My friend went outside and waited as I rummaged around. He had worked in wine retail so I think the chaotic shelves freaked him out (the tendency to rearrange shelves never leaves you); and he waited outside on the pavement and lit a cigarette. 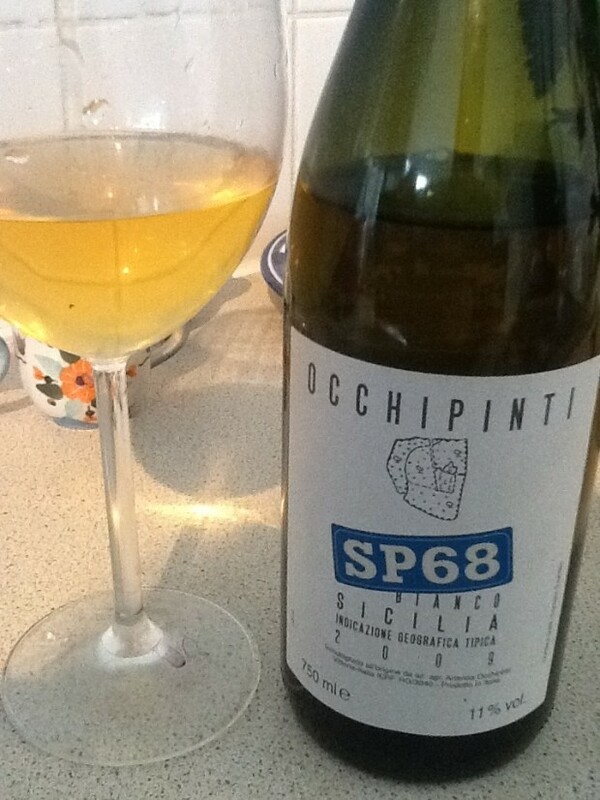 When I saw the two last dusty bottles of 2009 SP68 by Occhipinti (with two wildly different price tags), I stood up on another wine box to reach for them on the top shelf – a strange place to put an old bottle of Sicilian white wine. When I went to the front counter, the owners were slightly taken aback, as if the only reason wine was in the shop was because they had no other space at home. Do we need another review of Occhipinti? There are 28 articles and counting on the internet, some better than others. Some reviews are deeply embarrassing and gushing, which must be one of the hazards of being a young female winemaker. Apart from Arianna Occhipinti being a young woman, intelligent and making expensive natural wines in Vittoria in Sicily, what is it about her wines that made me risk falling on a stack of wine boxes to reach the last two bottles of an old vintage? When everybody wants to be everyone else, when people nervously want to look at ratings and be rated themselves (or habitually rate others), there is a fearlessness in her individuality, combined with a certain earnestness, which makes it likeable way before I even open the cork. I want to like it, and it is not difficult to do: the technical skill is there (tick); as well as a deep connection with her land (tick) and tradition (tick). 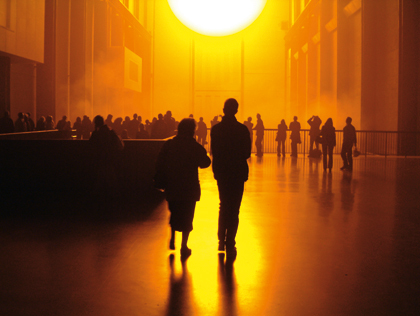 Everything seems to have a good reason even if, at first, it seems quite obscure. But I suspect we wine people like that: we want to know that SP68 is the old wine road in Sicily where the vineyard is planted. It appeals to the wine nerd to know of another RN74-Burgundy- situation. In certain corners of the wine community there have been rumblings about whether natural wine can age. There has been a two finger up to the establishment by natural wine advocates: “who cares?” I am somewhere in the middle: truly great wines age. I have even tasted what can only be described as a reversal of age in the glass (Barbaresco Asili Riserva 1996), which is the same feeling as watching an old roué at a party turn on the charm after a few glasses of champagne. The ability to age is said to be one of the definitions of fine wine. Perhaps the allusion to fine wine aging is rejected because fine wine is so commonly treated as commodity with over-inflated prices – rather than as a wine to enjoy. Then, I take it all back and salute you. Enough. What is the wine like in the glass? One of the first vintages for Arianna Occhipinti for her white wine, it is still holding together remarkably well. This label was made to be “more accessible” so it was never meant to be kept at this age. What strikes me the most about this wine is the texture. It could come across as too austere for some with its dry apple-skin taste, but it is cheered up with flashes of rich, and dry, orange peel hints. There is some freshness and tautness to the wine, so in that sense, it is not past it. The aging has made the flavours louder and more eccentric, which surely must be one of the benefits of getting older. Back to the future, could even the most optimistic mobile marketer have recommended this wine for me in this particular shop? Only if I had given the marketers my preferences as: (1) WINE: aged white wine from Sicily; (2)HOLIDAYS: where the wind of the sub-saharan sirocco blows; (3) MUSIC: in this case, acoustic folk. My poor phone: “no results”. There is nothing like it.